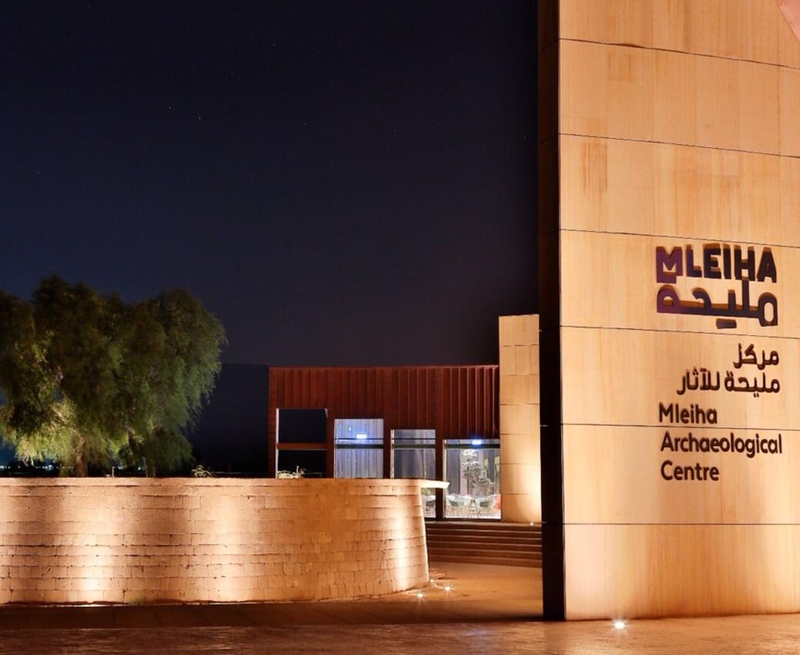 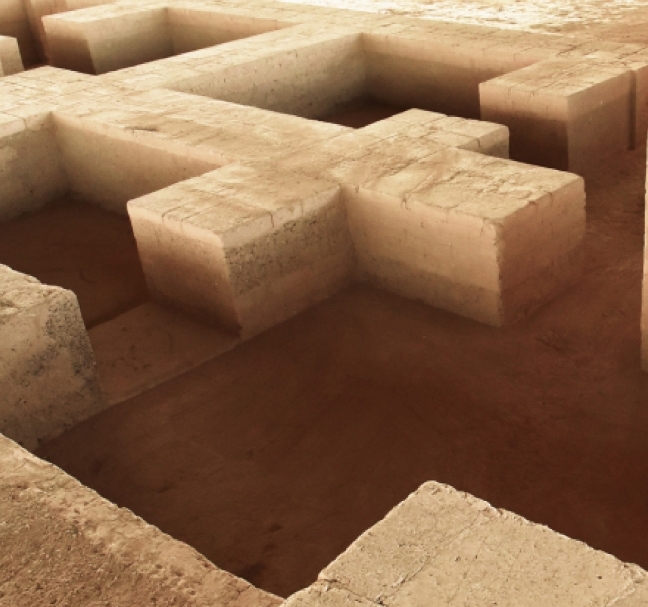 Enjoy entry to Mleiha Archaeological Centre where the whole family can learn about life in the region in years gone by as well as take a closer look at the wide variety of artefacts on display. 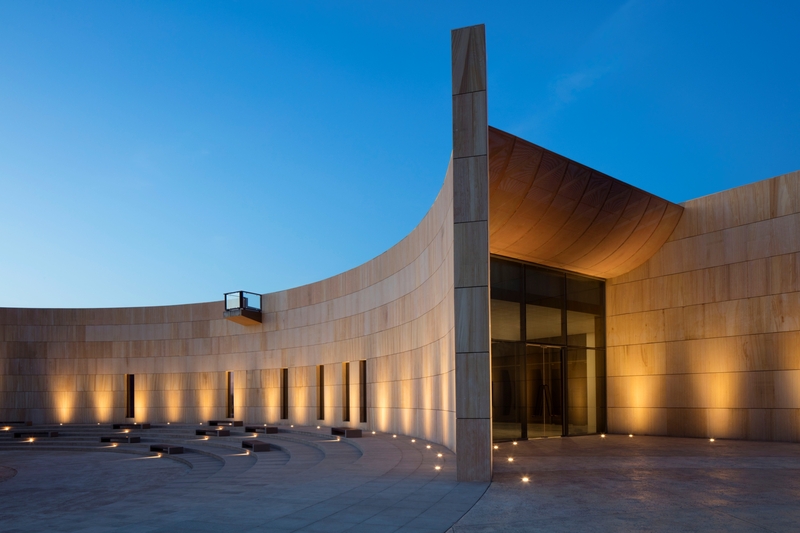 Designed with the local environment in mind, the centre has been built with consideration to its environmental and archaeological context. 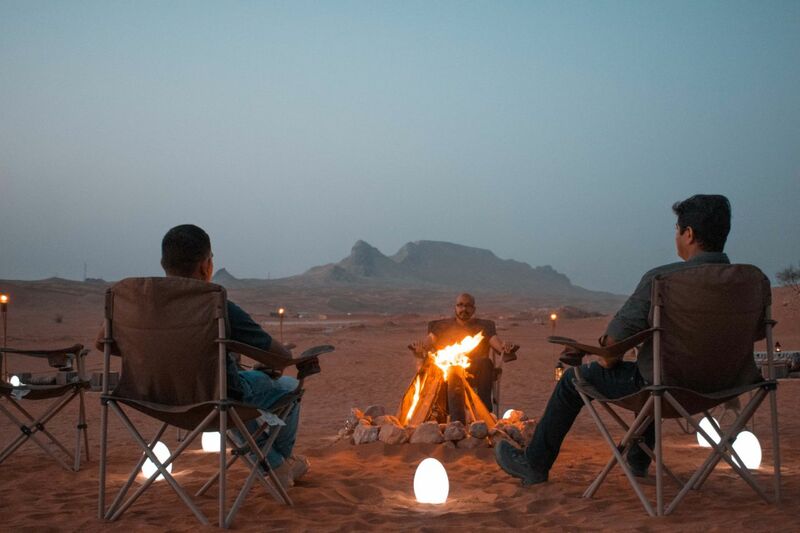 We also cater to requests for Corporate Events and Group Bookings, please contact us for more information. 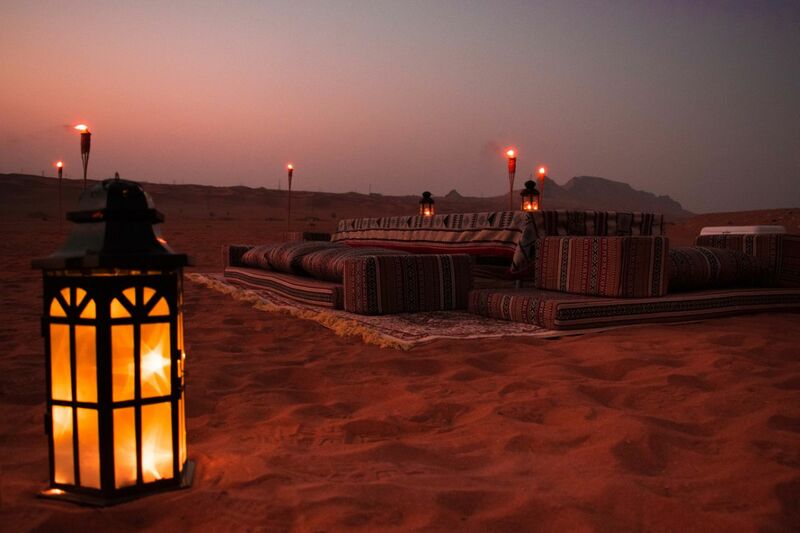 – All our transfer options are Private and Exclusive. 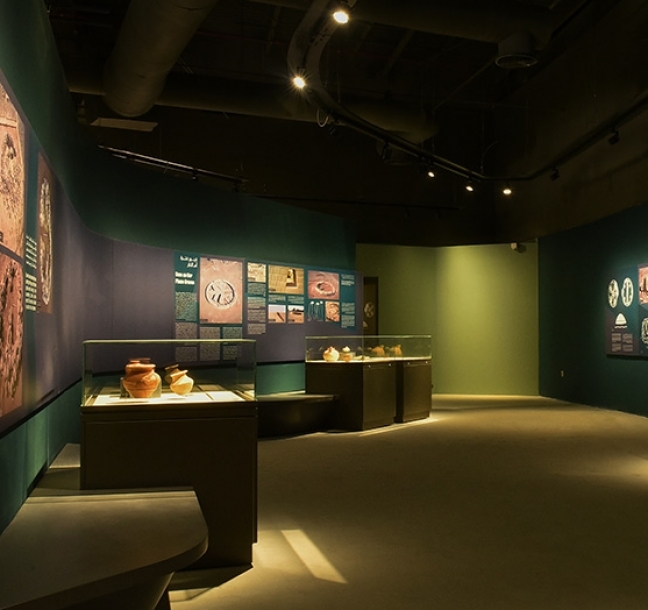 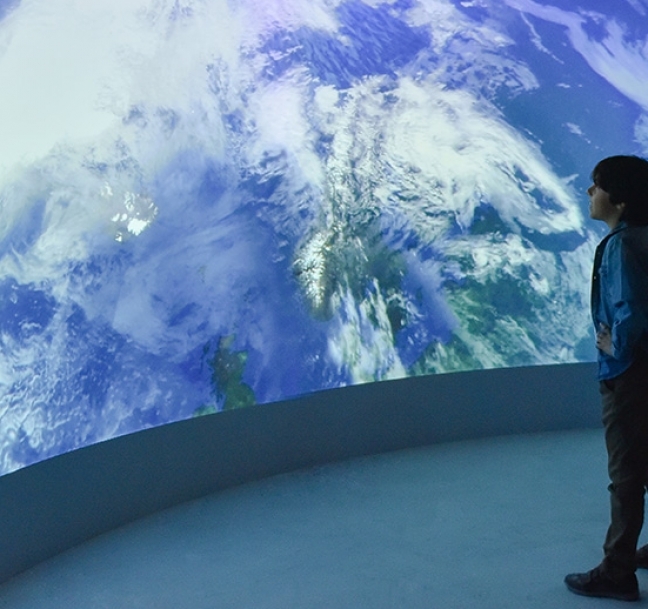 – Museum Tour is included in all our Adventures and Escapes packages. 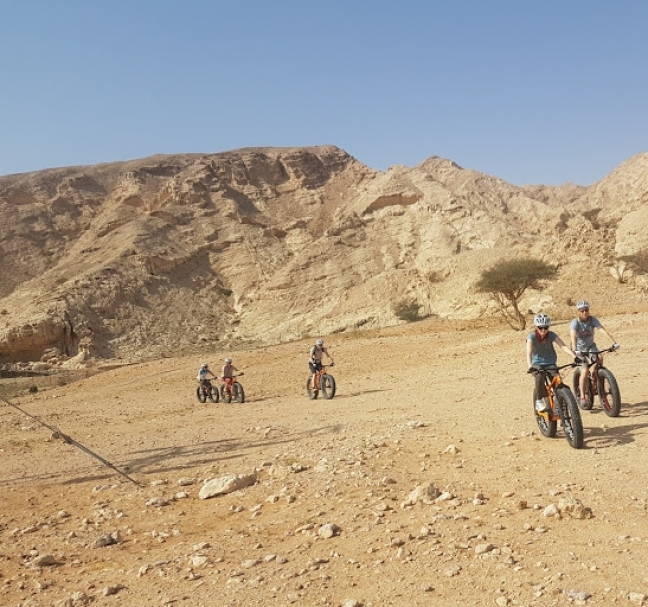 – Hop into our latest adventure to experience the sights and sounds of Mleiha on our exciting ArchaeoMOG tour! 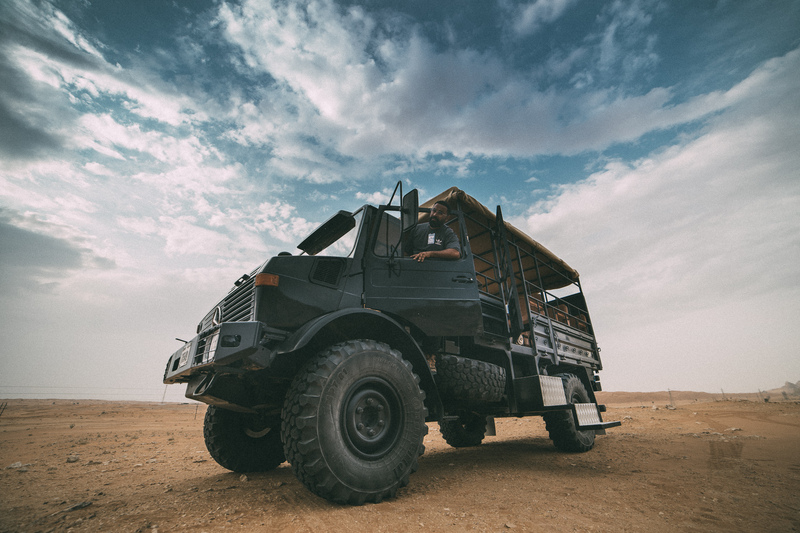 – Guests will be taken through a variety of different locations in a specially designed UNIMOG – your experience will begin with a tour of the museum, followed by a walkthrough to the Mleiha Stables via our gazelle enclosure, journeying onwards in the UNIMOG to the Valley of the Caves and crossing the old quarries to reach the final stop in a hidden wadi for refreshments. 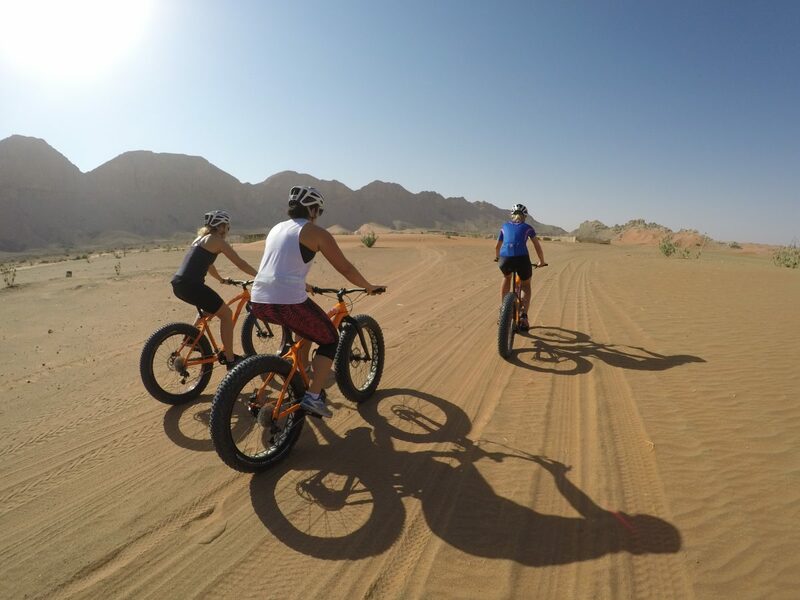 *Minimum of 5 Pax required for tour. 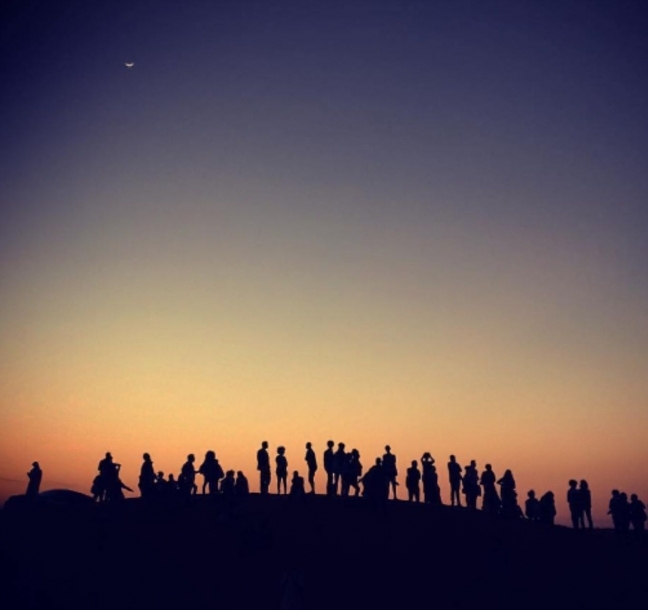 *Guests numbering less than 5 would have to pay the full amount of 5 guests. 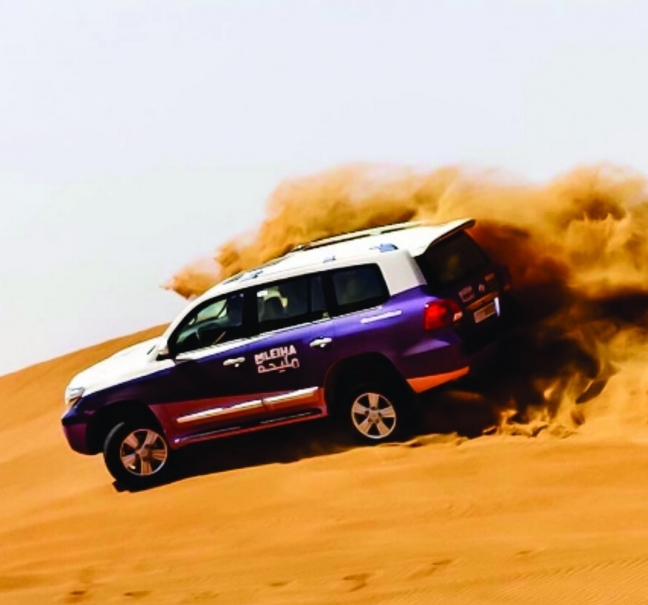 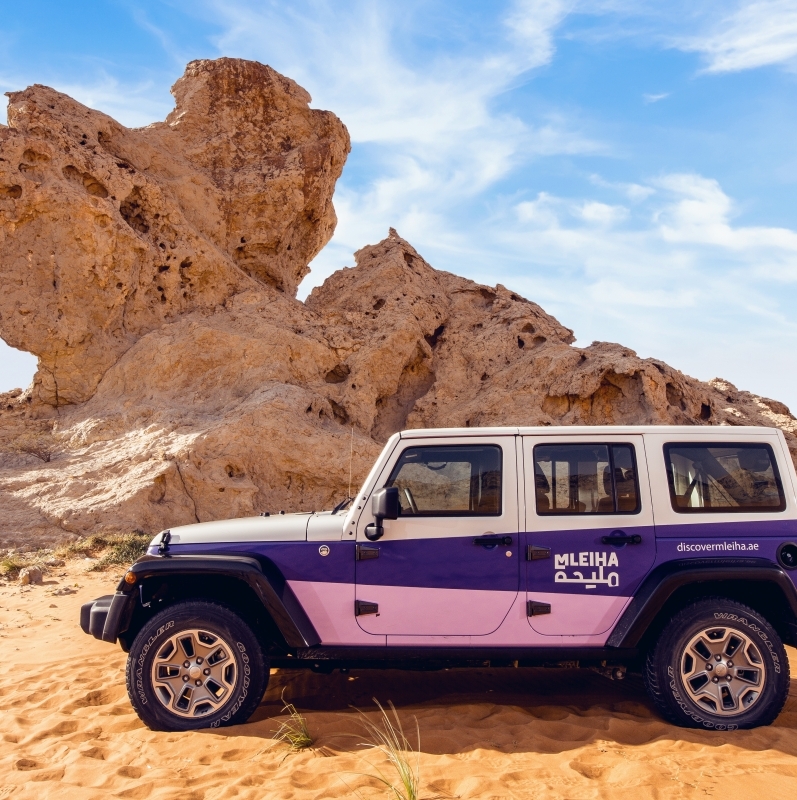 A 40 minutes adventure drive braving the dunes and twists in the comfort of our 4×4’s as you reach the iconic Camel Rock. 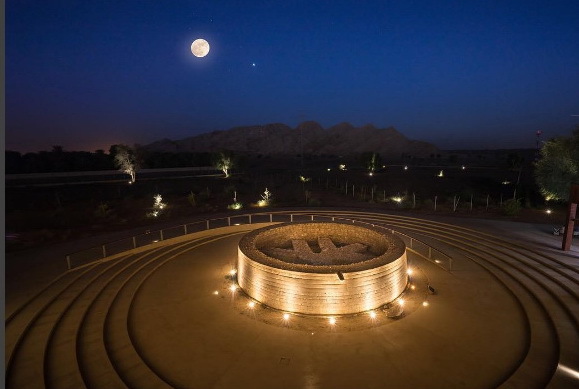 The entrance to the visitors centre is included free of charge in this package. 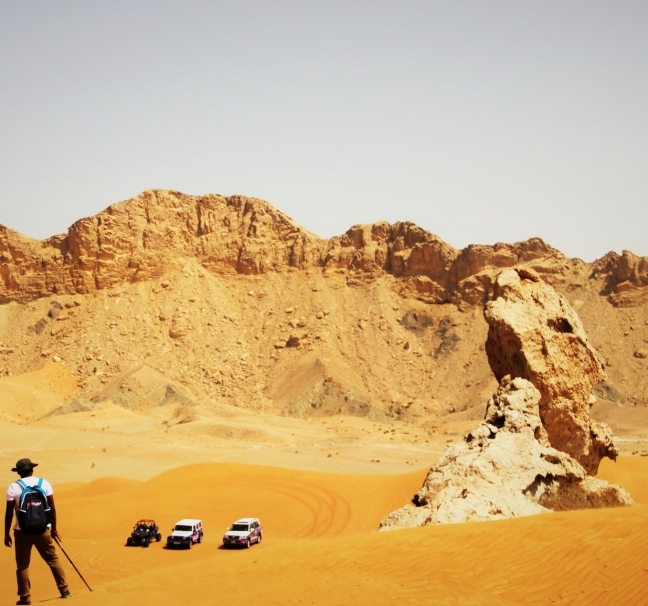 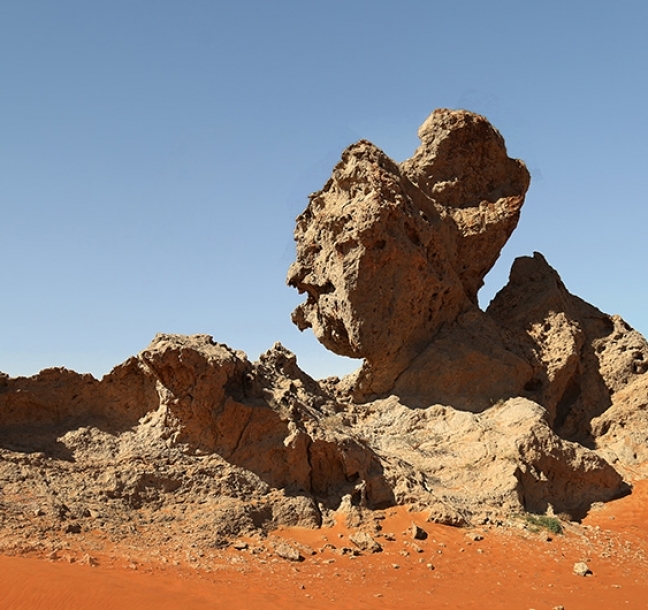 – A 1 hour excursion involving exciting exploration of the dunes to reveal Camel Rock, a uniquely shaped mountain outcrop that has the shape of a camel’s head! 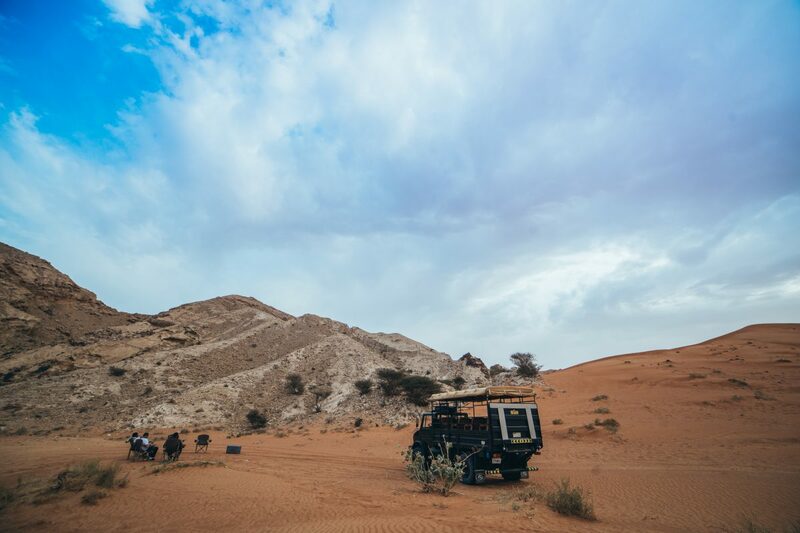 – Explorers are then taken for a thrilling climb in our 4×4’s up to Fossil Rock for a spectacular view and to learn a little more behind why it is named “Fossil Rock”. 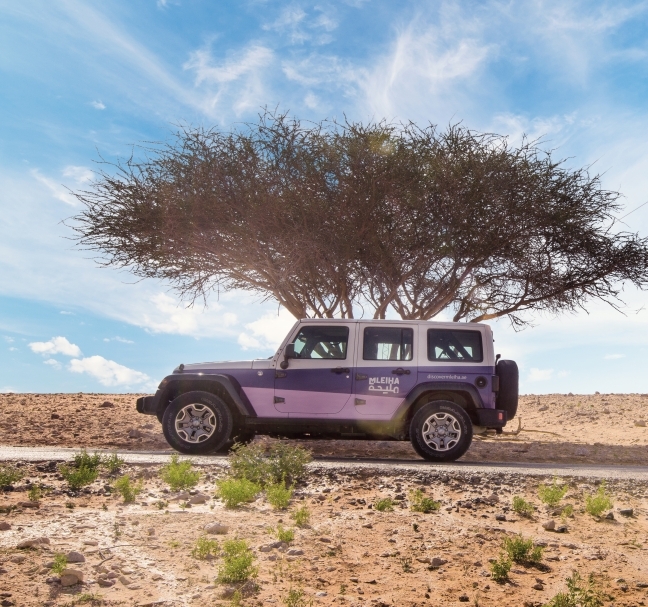 Get ready for an exciting off-road experience as you discover the most spectacular vistas Mleiha has to offer. 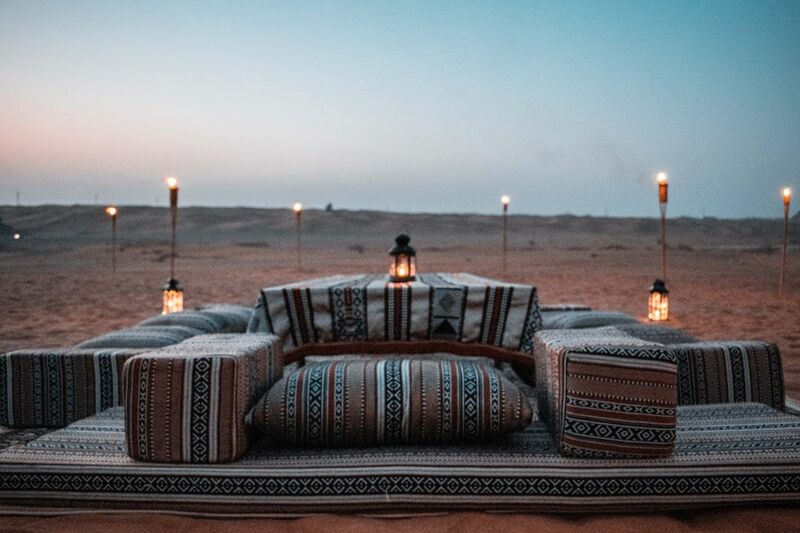 Your journey will last approximately 6 hours as you take in views from two different peaks, visit ancient sites, stop for picture-perfect photos of the stunning landscape and conclude your adventure in the relaxing setting of our Sunset Lounge. 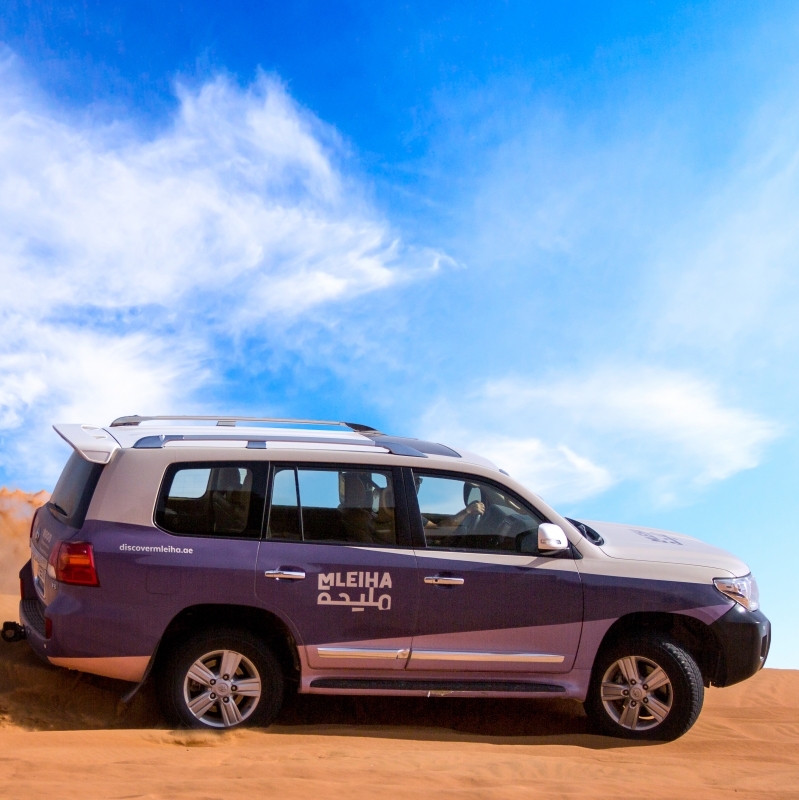 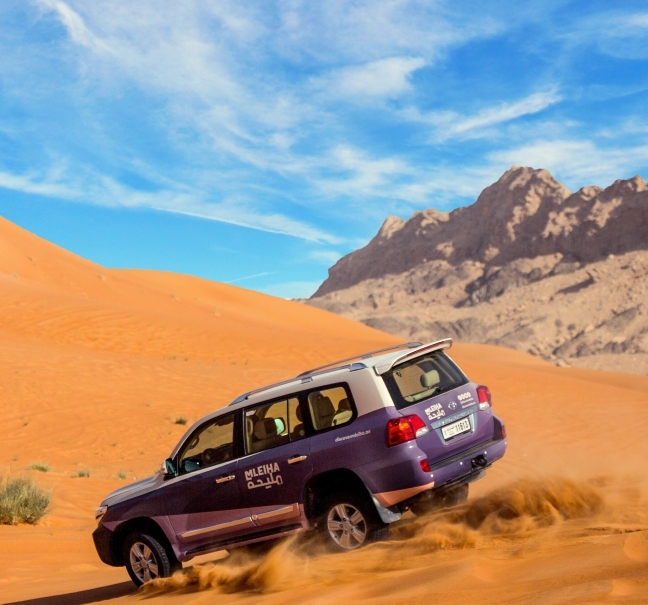 Step into our vehicles and head back in time to see Mleiha through the ages. 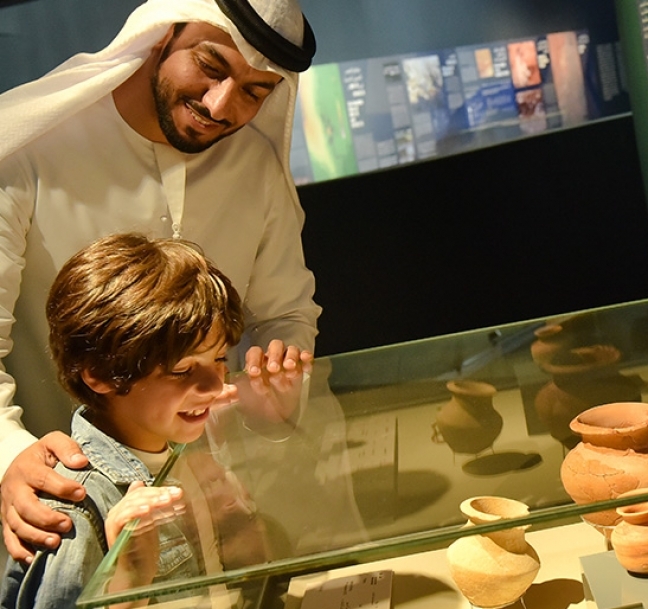 Visit Stone Age caves, walk through a Pre-Islamic fort and witness the community lifestyle and burials of the Bronze Age. 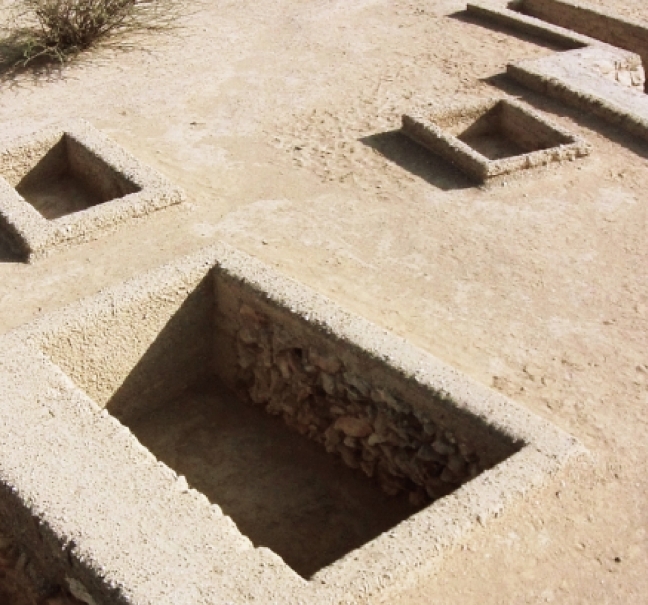 Visitors will see Horse and Camel Graves, Farmhouse with Kitchen, Community Village and Mleiha Fort as well. 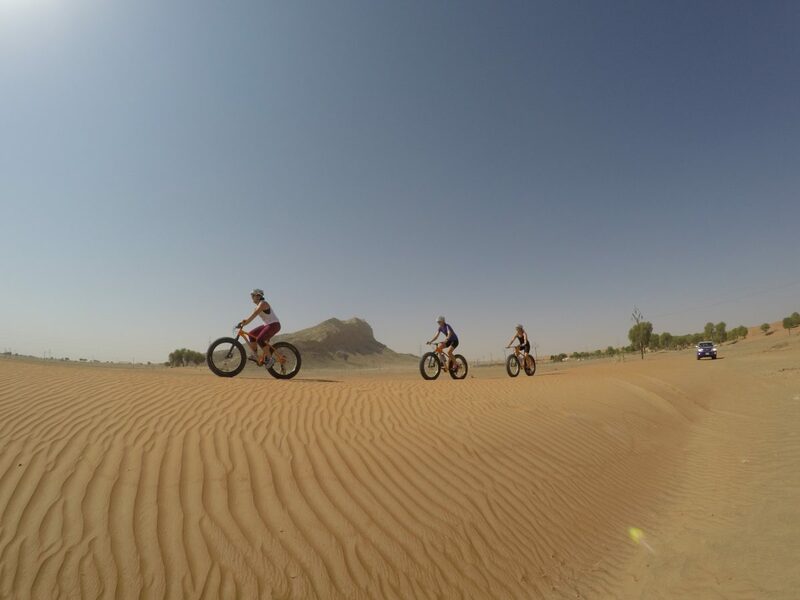 Heart-pumping cycling tours for all levels with amazing archaeological discoveries and stunning nature and wildlife. 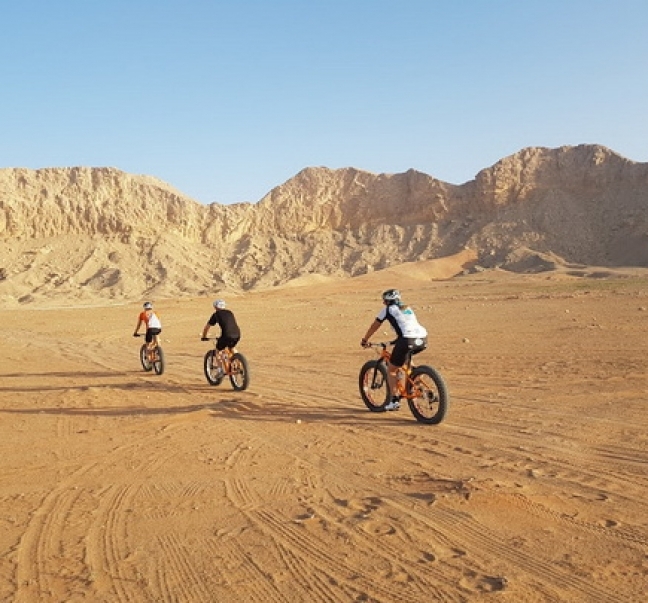 Explore the vast Mleiha area on a FatBoy bike, specially-designed with extra-wide tyres for riding in the desert. 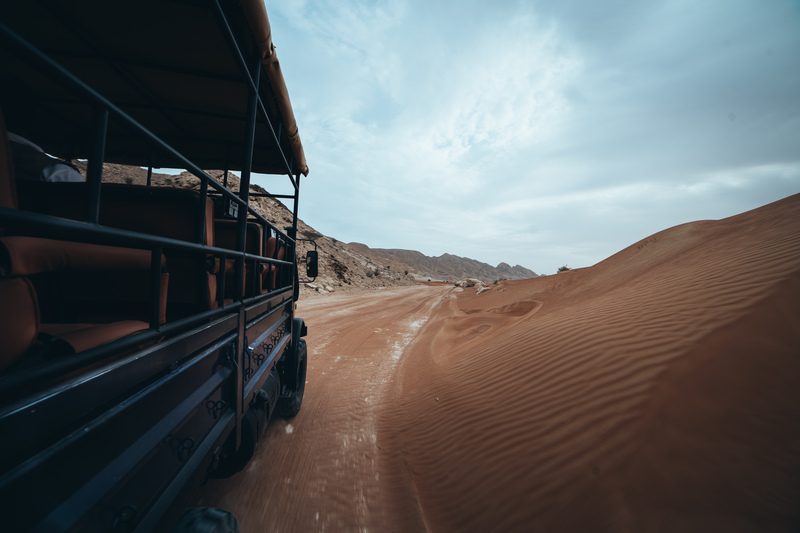 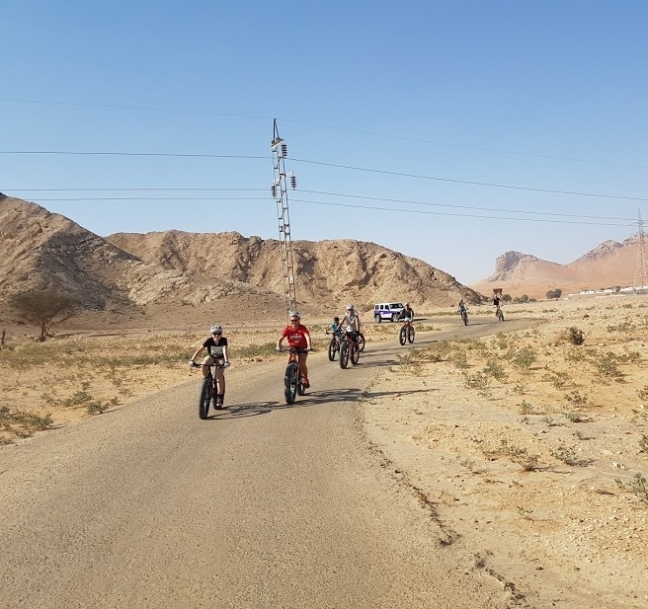 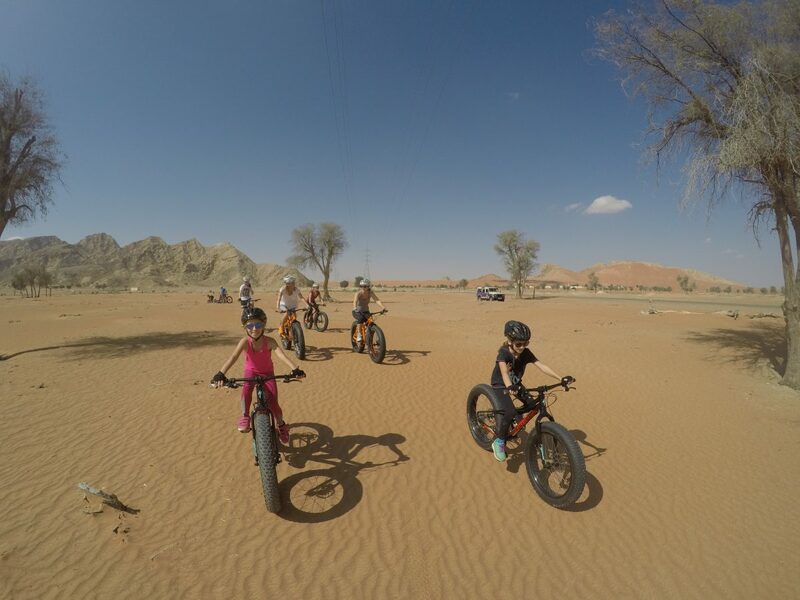 Venture out by bike with your guide who will show you an impressive array of archaeological and historical sites, point out where you can climb soft dunes and allow you to get up close to nature, including birds, reptiles and camels. 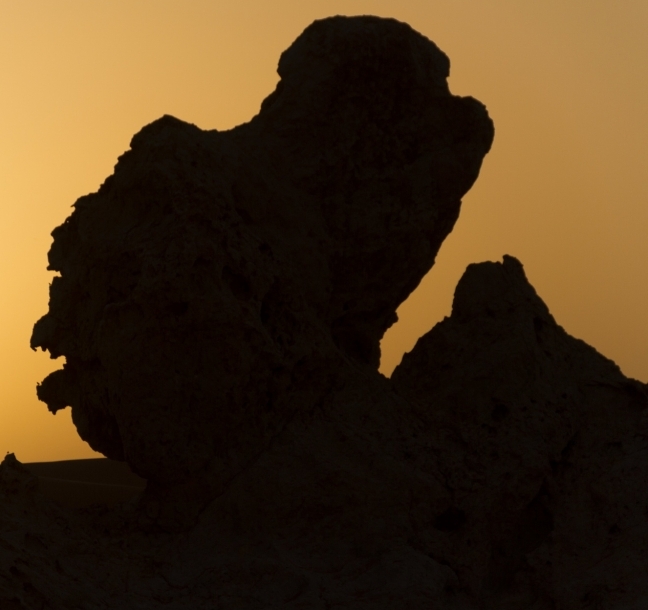 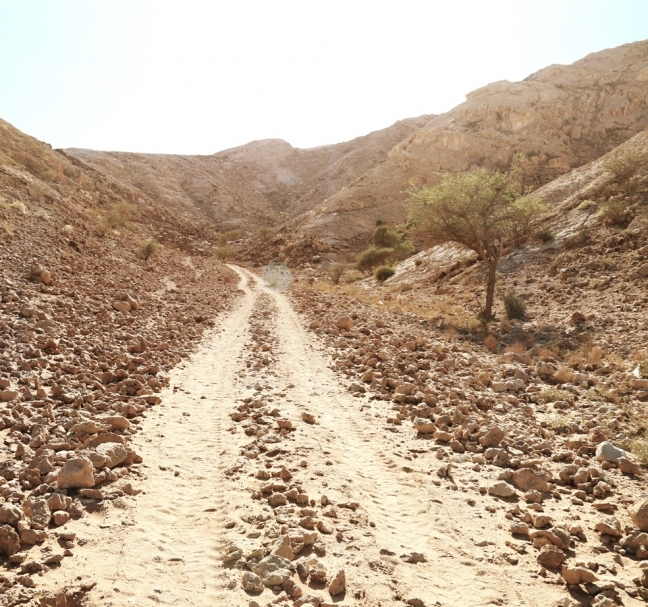 – Extreme Fossil Climb | A 1 hour adventure drive up to the top of Mleiha’s iconic Fossil Rock. 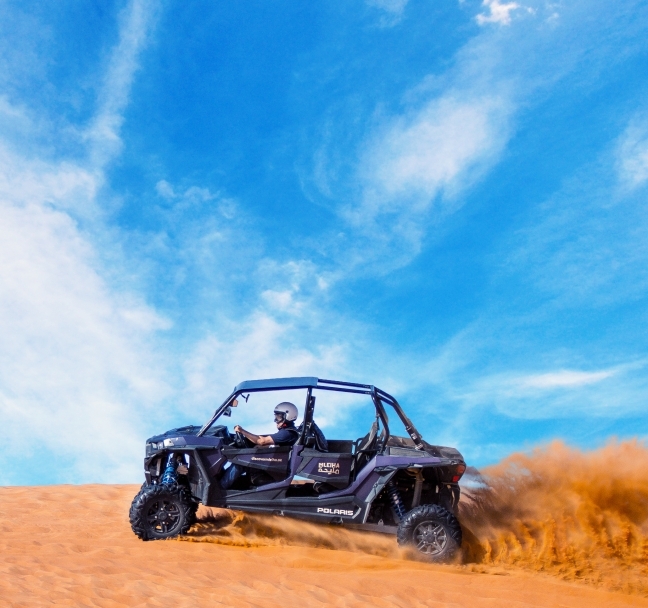 Brave the dunes and twists in the comfort of our Dune Buggies as you reach the top for a spectacular view of the entire region. 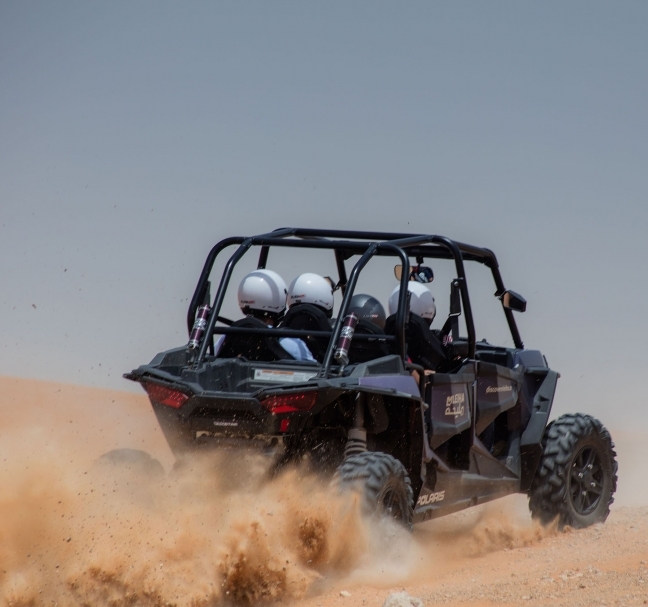 – Extreme Tour | Get your adrenaline rush by exploring the beautiful lanscapes of Mleiha. 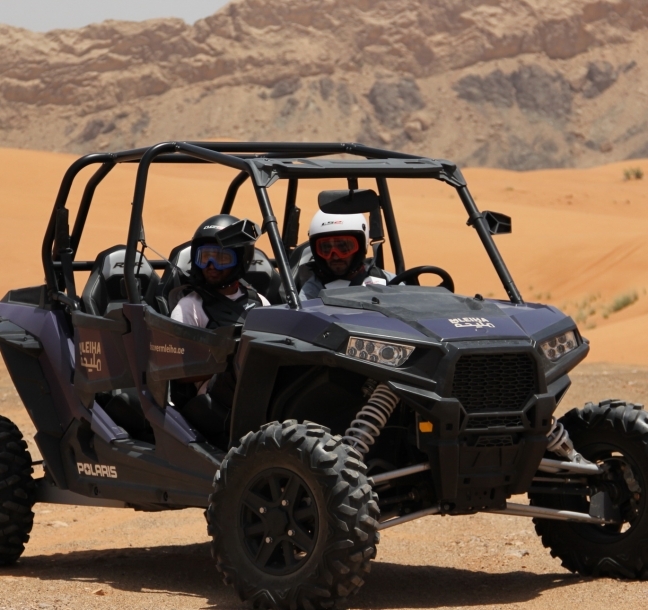 Tourists will be driven to Fossil and Camel Rock followed by a thrilling experience across Faya Dunes and the Mleiha Desert. 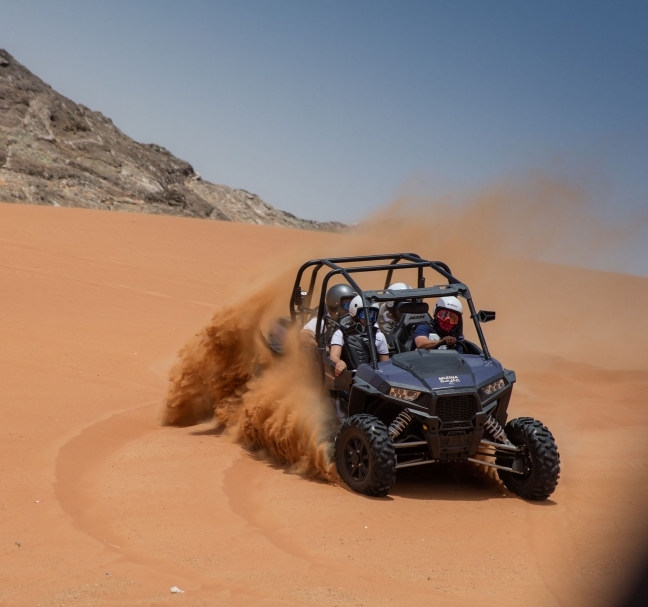 * Please note dune buggy experiences are guided tours, self-drive is prohibited. 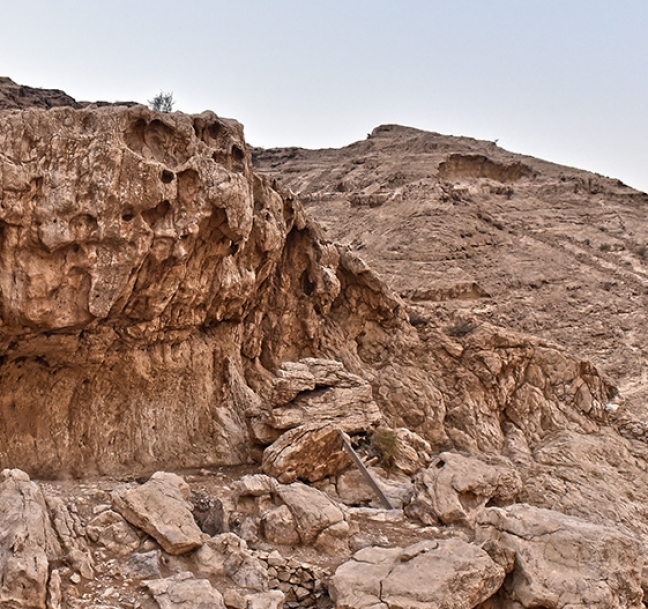 – Short Route | Head over to the Faya Caves on foot with one of our experienced guides. 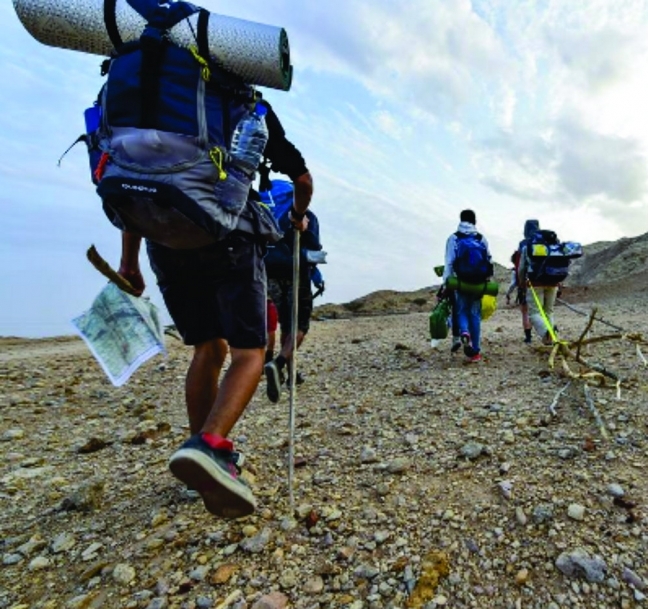 The guide will explain flora and fauna found throughout the region and perhaps even catch a gecko or scorpion to show! 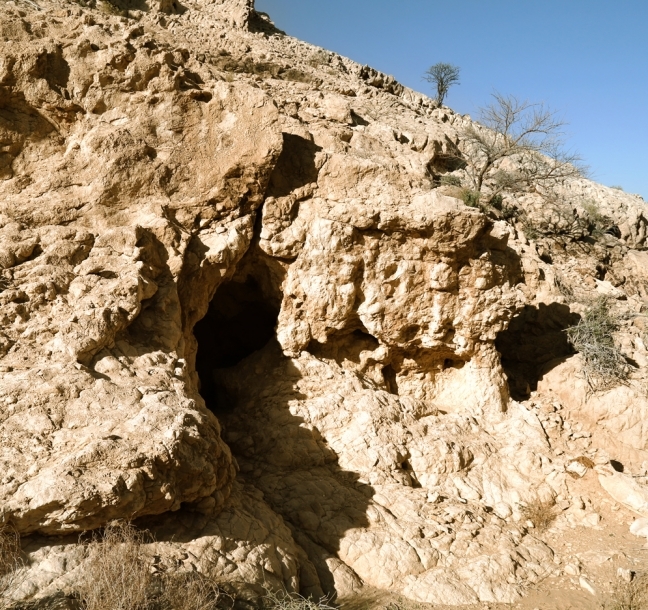 The guide will also explain of the significance of the caves and the history behind them. 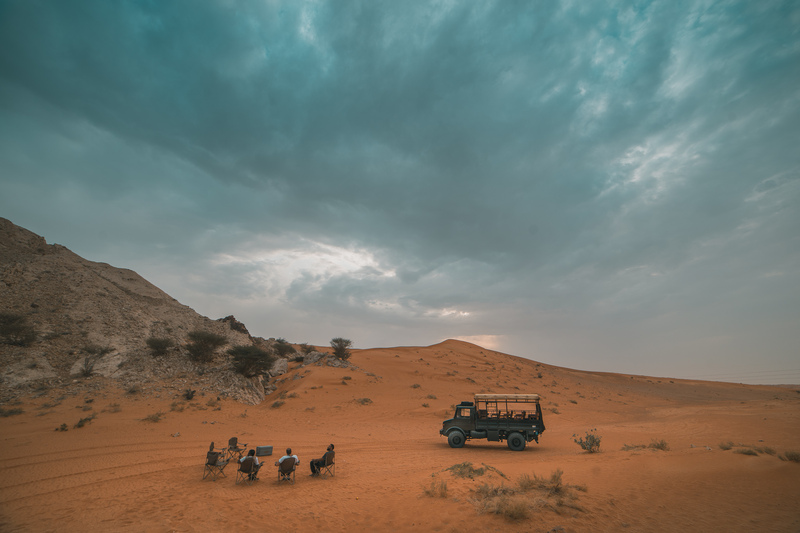 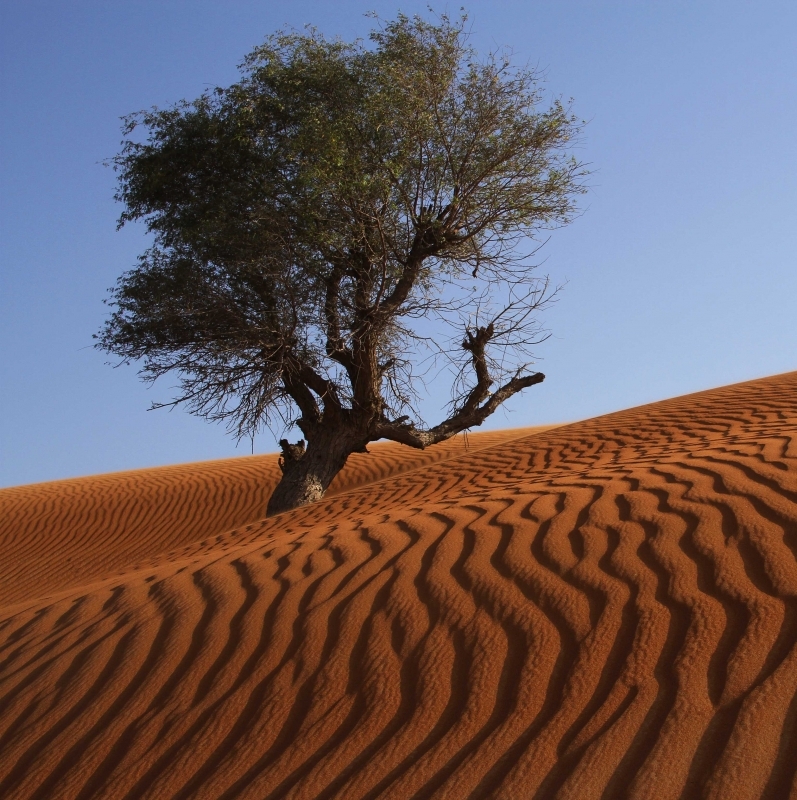 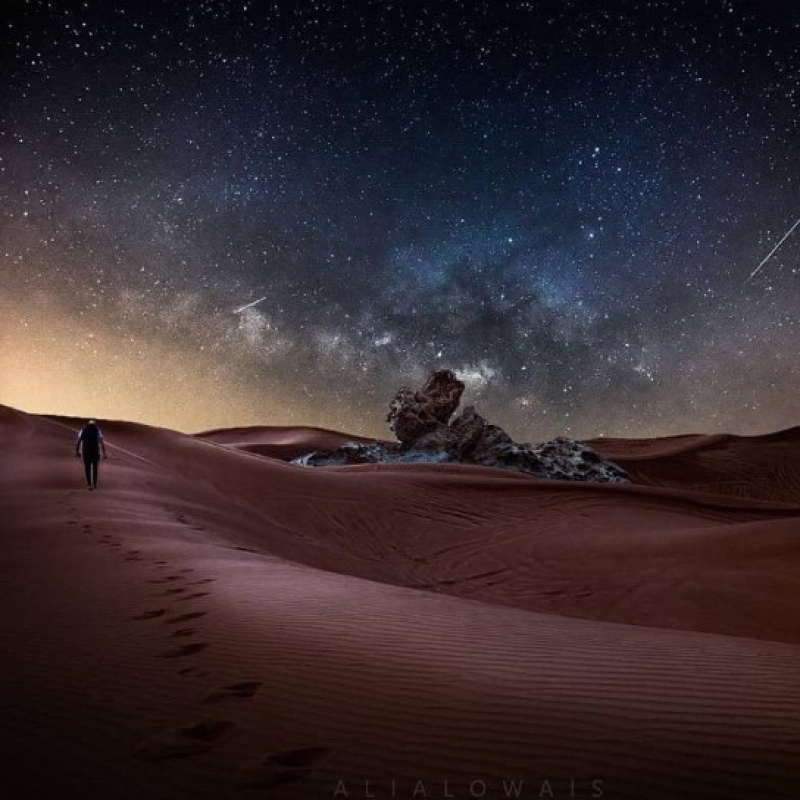 – Long Route | Explore the surrounding region with our experienced nature trail expert and discover Mleiha on foot – you’ll be surprised at what you would find in this harsh desert landscape! 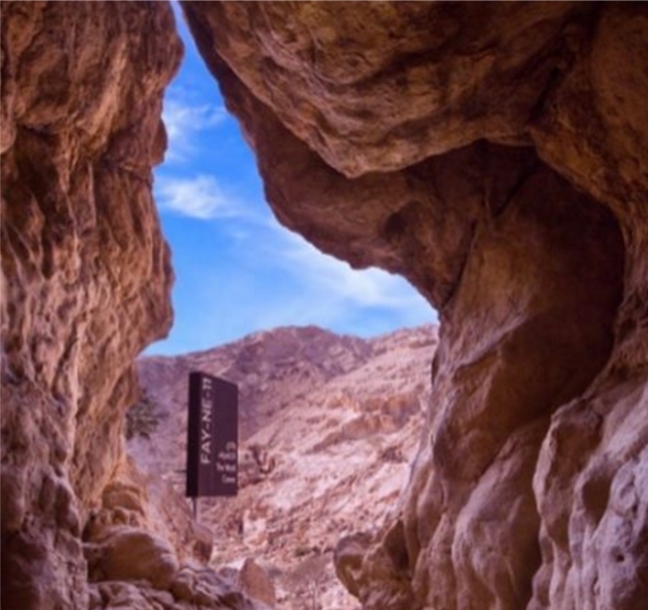 – Explore ancient Stone Age caves by foot to take in the beautiful surroundings from the safety of wooden walkways. 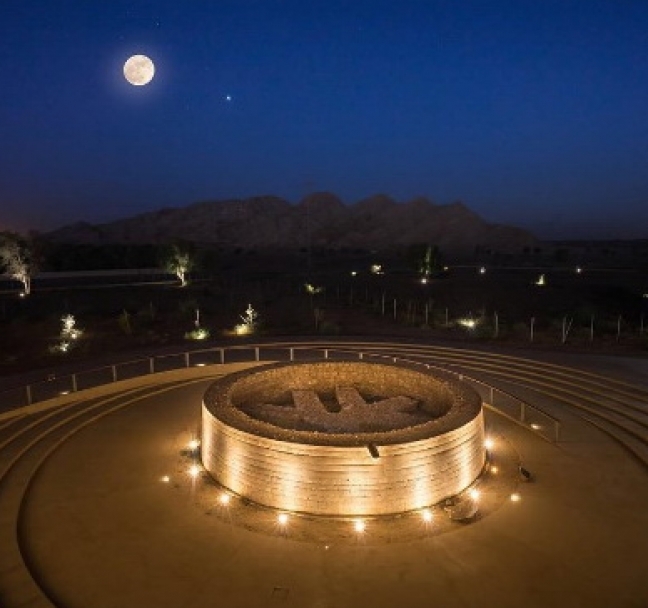 Experience a scenic view from atop our mountain outpost and take back pleasant memories. 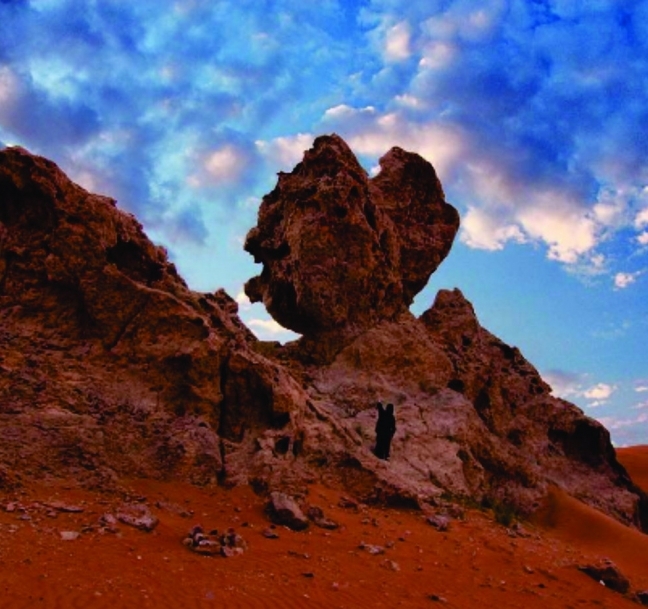 Also visit Camel Rock, a popular tourist destination in the desert.